[Photo] What was Song-Song couple up to on Christmas? 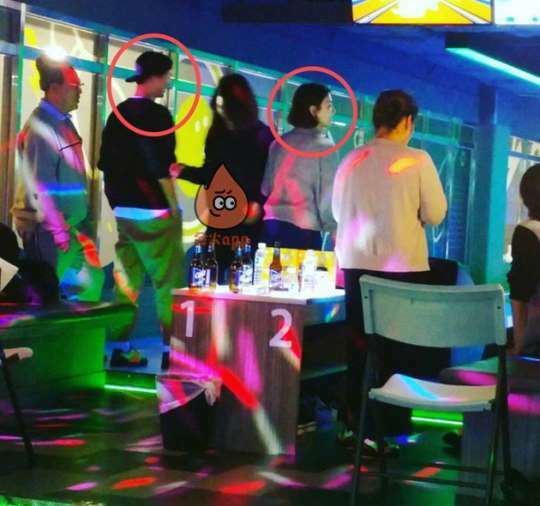 Song Joong-ki and Song Hye-kyo were spotted at a local bowling alley on Dec. 24. According to various news reports, the celebrity couple was seen bowling with some friends on Christmas Eve. In the revealed photos, the two actors, donning casual outfits, spent time at a bowling alley in Itaewon, Seoul. Starring together as the lead couple of the drama series “Descendants of the Sun,” the couple tied the knot on Oct. 31, 2017.